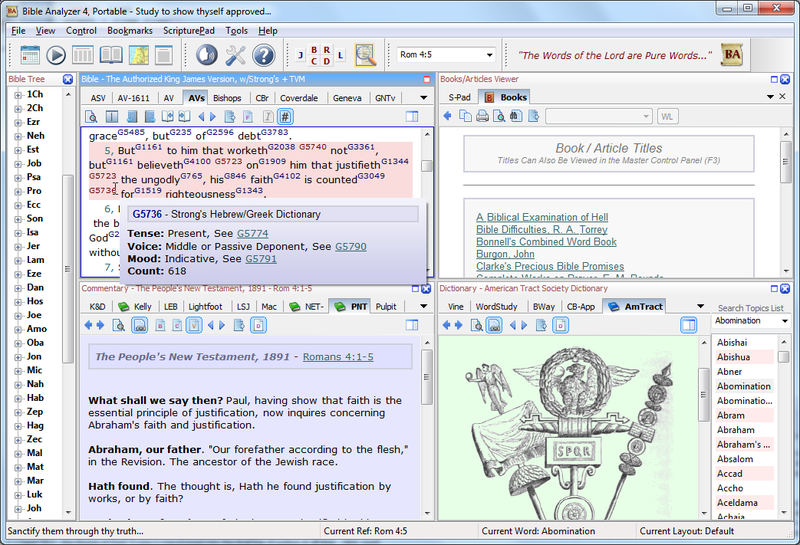 Bible Analyzer is a cross-platform Bible study and analysis software program developed to aid Believers in their study and defense of the Holy Scriptures. It has several features (such as text comparison, proximity searches, detailed statistics, etc.) usually not found in other free or commercial software programs. Last edited by I am Baas on Sun Apr 05, 2015 11:28 am, edited 1 time in total. Bible Analyzer is at version 4.9.2. I've added Bible Analyzer to the database. Thanks for adding Bible Analyzer to the database, Checker. You have earned another virtual beer ... drink in moderation.